So my Volkswagen has been at the dealership for just over a week, it needed minor things like some small paint work, head light and hood re-alignment and a rattle in the rear passanger compartment that's covered under warranty. I was put in a no cost enterprise rental, a chevy spark at first which later threw every code in the book with only 6,800 miles. 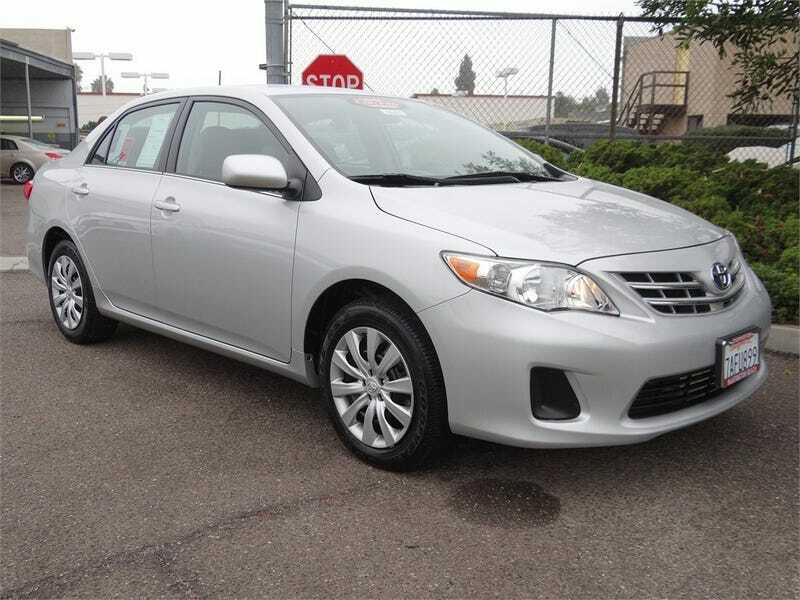 The next car they brought me though was this... a 2013 corolla... The spark at least had a spunky feel, this on the other hand is plain BORING. The corolla does everything "aight." It goes at a push of a pedal, stops in the same fashion and the gas mileage is decent. It's silver on grey plastic everything, nothing grabs you or intrigues you.. I can't remember ever hearing anyone say " OMG IS THAT A COROLLA?!?!?!" Seems like this cars 2 purposes are to be a rental car or your grandma bettys 2k mile a year get her pharmaceuticals and get her hair done mobile. It's just..... blah, whats the most boring car you've owned/driven?